Surabaya is getting hotter day by day. Buat yang puasa, selamat berpuasa ya :). Sorry baru bisa ngucapin sekarang karena blogpost yang hari minggu itu aku buat autopublish. 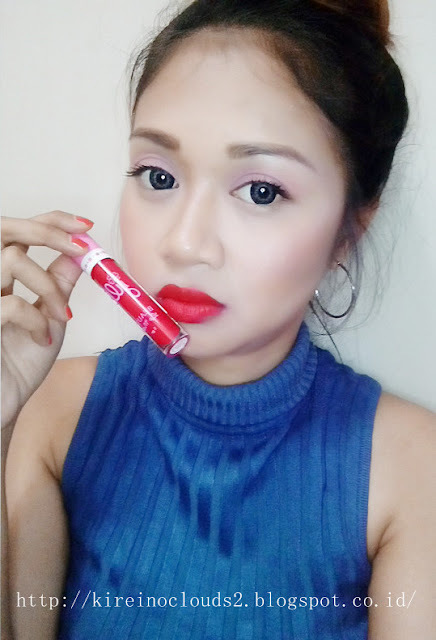 Ok, so today I will reviewing a local brand lip matte / lip cream from Jill Beauty. For disclaimer, I bought this with my own money so I just bought shades that I think will work in my skin tone. Basically they said if their lipstick contains moisturizer that will make your lips moist. It is kinda weird actually because they market this lipstick as Matte Lipstick, which we know matte lipstick most likely wont make our lips moist. First 5 shades are their old collection and the other 5 are new released shades. I only have 5 shades, including 2 old shades and 3 new shades. Texture wise each colour have slightly different texture. Matte cocoa and Violet daisy are more creamy and mousy. Brownies velvet is thinner in consistency and you need to layer it before you can get opaque colour. Hot apple is the most stricky one and in my opinion it is a lil bit patchy too. What I really like from this lip cream is they didn't dry out our lips. But of course not moisturizing our lips either. Just very comfortable to wear without any sticky or heavy feeling. The only bad side from this lip cream, it is not transfer proof. so when you eating, it will fade fast. I'm really sorry for today review I don't have lips swatch. I had bad lips day at the day when I take a picture and making video for this entry. Since I make video first, my lips is give up in the end. 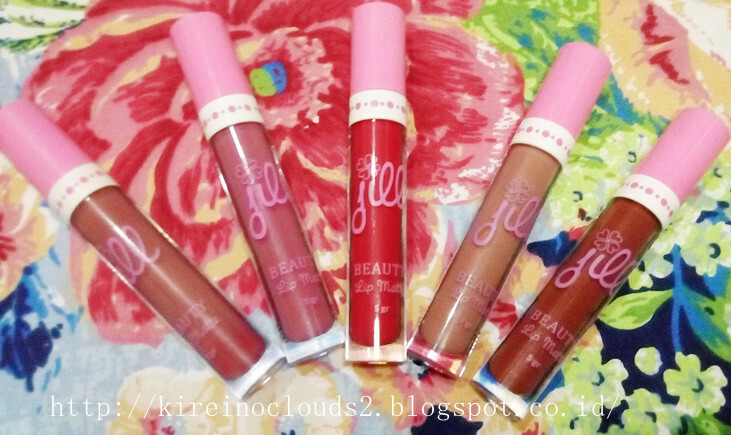 That's why I'm not able to take a picture swatch for this entry. Maybe, if they make new shades and I think suitable for my skintone. Kebanyakan org favorite nya yg so matte cocoa itu. Hot apple cantek ya warnanya. 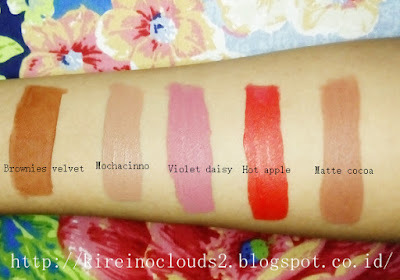 Matte cocoa sama violet daisy menggoda deh. Jadi kepengin. Eh tapi ini nggak tahan lama ya mba. Duh sayang banget. cakep bgt emang warnanya, cm klo dipake makan ya bubar jalan deh.